Proxxon's Diamond Coated Cutting Blade is useful for clean cuts in ceramics, porcelain, and hobby-craft tiles. These blades are further useful for cutting stone, as well as PC Cards. The Diamond Coated Blade is designed and intended for use as an accessory to Proxxon's FKS/E Table Saw and FET Table Saw. 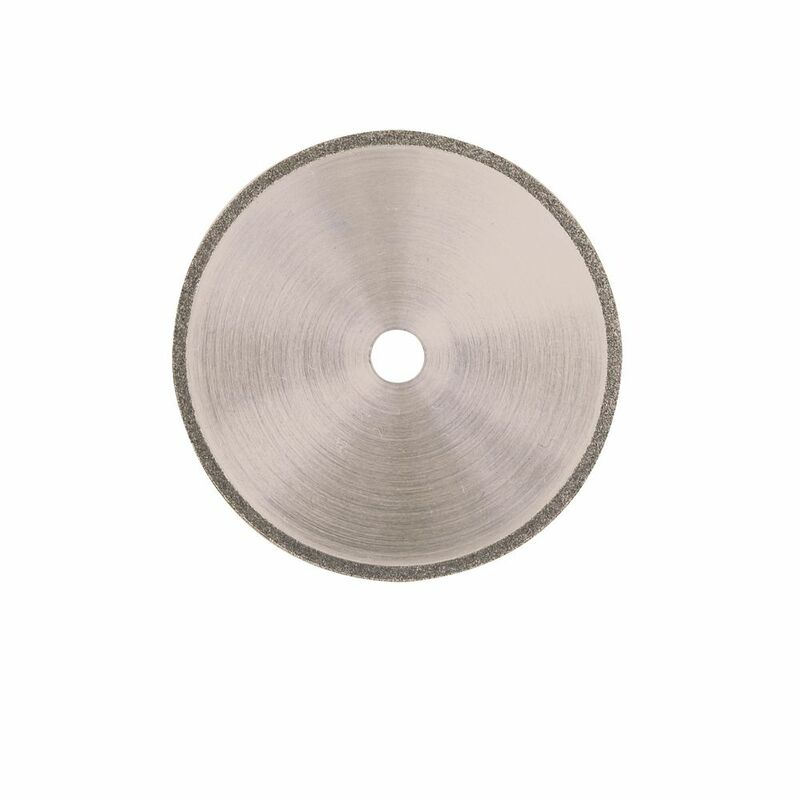 Diamond Coated Cutting Blade for FKS/E, FET, & KGS 80 Proxxon's Diamond Coated Cutting Blade is useful for clean cuts in ceramics, porcelain, and hobby-craft tiles. These blades are further useful for cutting stone, as well as PC Cards. The Diamond Coated Blade is designed and intended for use as an accessory to Proxxon's FKS/E Table Saw and FET Table Saw.